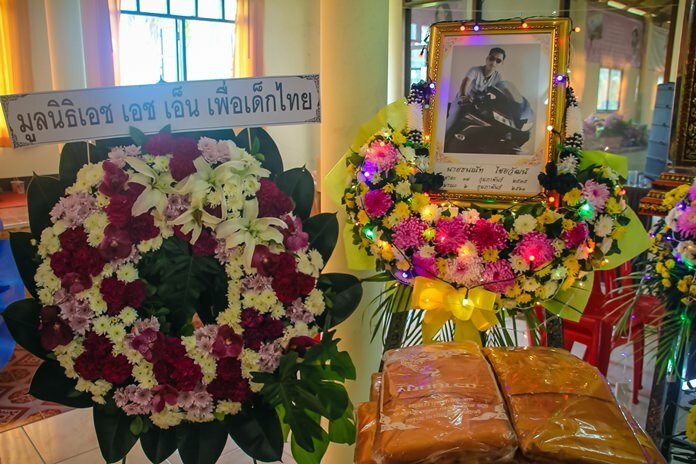 Thananat Chaiwat, a former Pattaya Orphanage resident, died of a congenital blood disorder at age 25. The Human Help Network Thailand said goodbye to a former Pattaya Orphanage resident who died of a congenital blood disorder at age 25. HHN Director Radchada Chomjinda and Pol. 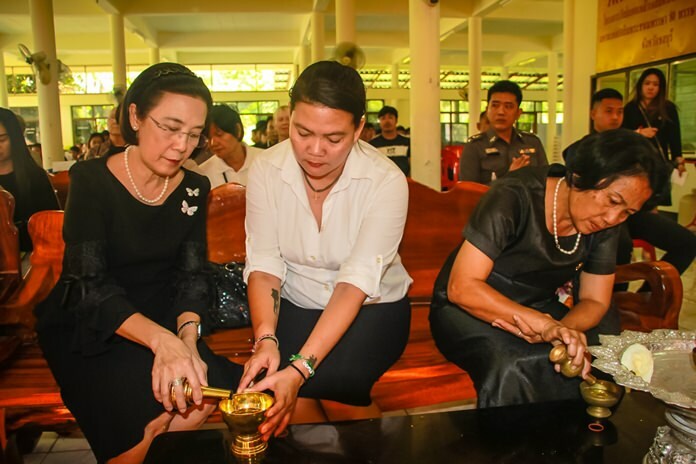 Lt. Col. Pracha Hongpoonpipat of Samut Prakan were among those who laid robes on the casket of Thananat Chaiwat before he was cremated after a three-day ceremony at Intharam Worawiharn Temple in Bangkok Feb. 3-5. Thananat was raised from infancy at the Pattaya Orphanage after his mother abandoned him. Later in life he was adopted and went to live with his foster parents at age 20. But Thananat was born with thalassemia, a disorder in which red blood cells are destroyed, leading to chronic anemia. He fell ill with blood poisoning at age 25 and did not recover. During the Buddhist rites the former orphan was descried as lively and cheerful and always one to support the orphanage even after he left. Fr. 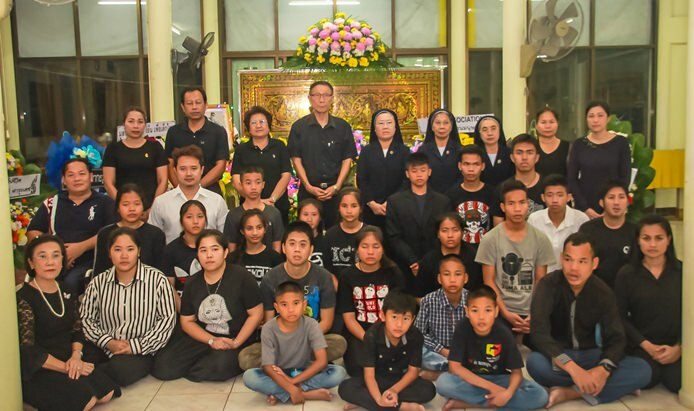 Weera Pangrak, Director of Pattaya Orphanage, and Radchada Chomjinda, Director of the HHN Foundation Thailand, led executives, staff, and orphans to said goodbye to Thananat Chaiwat. Radchada Chomjinda and staff pour water to dedicate to the deceased. 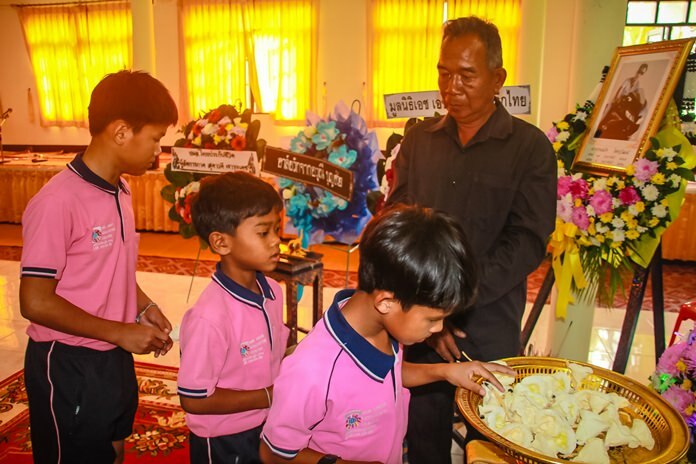 Children under the care of HHN Foundation Thailand present sandalwood flowers to their senior member who died. Next articleAthlete’s foot? I can’t even run for the bus!